Hello TLCB Readers! My name is… Nicolas, aka nico71 on the internet, I am a French mechanical engineer, currently working as a project manager in mechanical design office for a company that manufactures industrial x-ray radioscopy and CT-scanners. 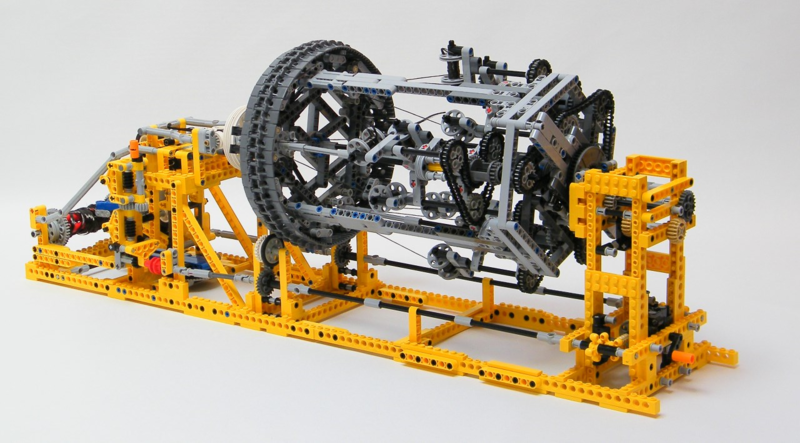 I am also a prolific Lego Technic designer who creates machines, devices and vehicles like those you see here at TLCB. I drive a Honda Legend 3.2 V6 from 1994 and a Honda Civic 1.4 from 1998. I also have a motorcycle which is a old Honda Transalp 600 from 1994, a very good motorcycle for traveling. As you can see, I am a huge fan of Honda (which also affects my Lego hobby!) My dream car is a old Honda NSX, which I have driven once and it was amazing. It’s powerful and comfortable with unique look, and the passenger would obviously be my girlfriend for traveling and holidays. Hard to say because when building studless Technic I do not use many different types of parts as in other fields, however I guess the most useful bricks is a connector to attach different parts together. But no, I would say the axle, because motion always starts with axle in my machines, and I like motion, so yes, an axle! My first set (according my parents) was the 8837 Pneumatic Excavator which combined stud-full design and pneumatics, which were really good! I had some other LEGO after that like the 8880 Supercar and the Technic Space Shuttle my story really restarted in 2007 when I bought the 8420 Street Bike, and in doing so discovered the new way Technic was designed with studless pieces. I then bought the 8436 truck which I have modified many times! I do not buy many LEGO sets per year though; I have a small collection because I don’t want to have too many parts for my available space (and it takes more time to find them!). I also don’t need 80% of a set’s parts like beams and pins for my own creations. I have only what I need, and sometimes make an occasional Bricklink order to complete a model. This is a huge advantage in studless design, as you don’t need to have a huge collection to make something good. However, now my collection is nearly 10 years old, so I do need to renew the broken and faded parts! In 2007 I searched for some inspiration about Lego on the internet. Only Brickshelf existed back then, and I discovered many builders there like Zoli, Sariel and so on. Some months after, the French forum techlug opened, and I started to post regularly and I was a moderator on this forum from 2007 to 2014. In parallel I created my own Youtube channel in 2008 and uploaded some videos, and in 2010 I created my blog in order to centralise all my work. Today I focus on my Youtube channel, creating instructions, and my blog. I am not very active on forums, but I do read them and follow many builders. 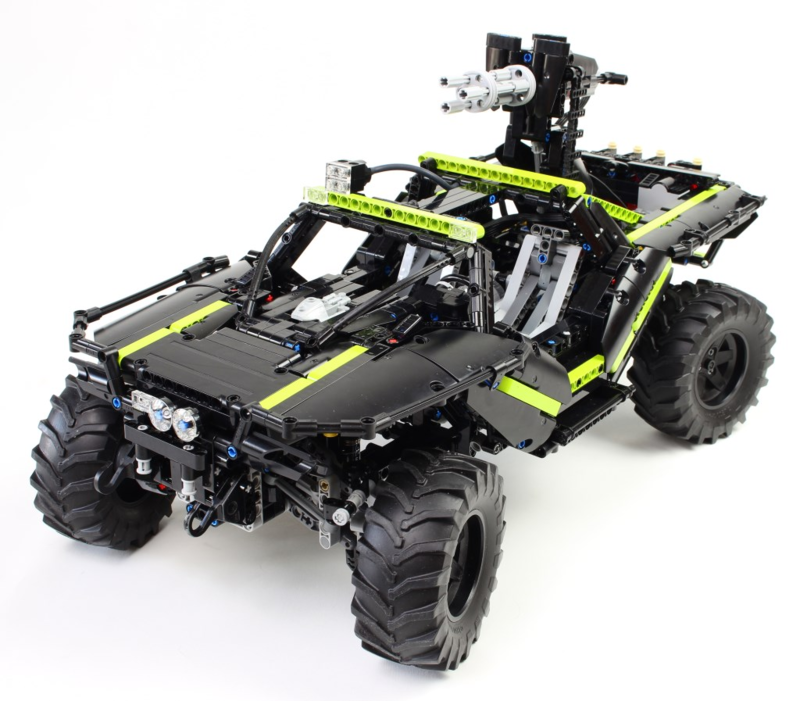 When Nathan, the owner of Rebrickable, contacted me for advice in 2011 to create the website I was really excited about his idea because it allowed people to add MOCs to their collections via instructions made available online (funny, the first MOC indexed on Rebrickable was my Jeep). 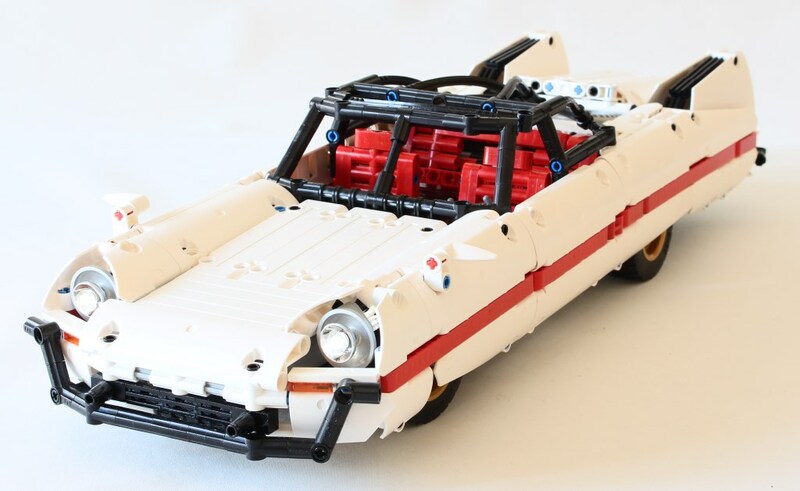 I started to make more instructions and focus on the building experience, and in 2017 Mochub followed to enable fans to buy the whole package of a MOC, including parts and instructions. I have a big list of ideas, and when I have time I look into it and start something. I try to work on only one idea but it is hard – sometimes I need to move on to a different subject if I get stuck. As I have a small collection I can’t keep all the creations I build because I need parts for the next one, so my models live only for duration of shooting photographs and video! Sometimes I can make a creation really fast without a problem, with all things gathered in a perfect way, and sometimes I need to retry things many times. I have some pet peeves in my to do list.. I find my design pretty unique because all builders have their own particular way to build , so when you see a creation, you can recognise who did it. For my creations, I mainly focus on functional conception for a machine. For vehicle I always try to envisage the completed car, because you can make a nice front bumper and hood, but the edge connection between them can be a hard thing to do. This what I call the homogeneity or cohesion of the design, in order that all big parts of a car fit perfectly with each other, for instance to avoid a model having a nice front, but a bulky rear and poor side profile. All the different parts of a car need to form a coherent whole. 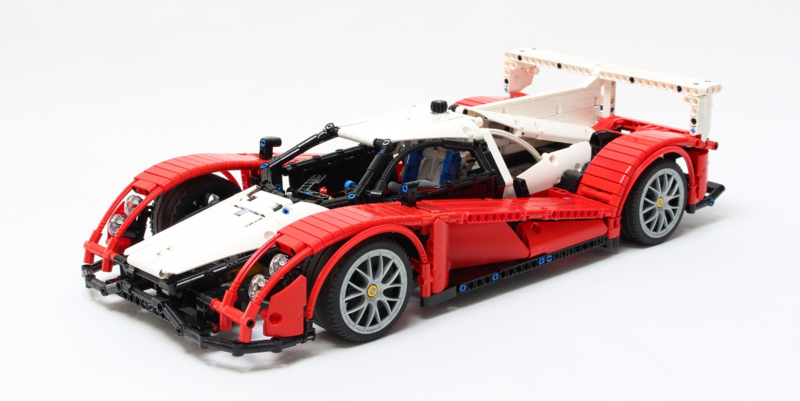 This is a hard thing to do in Lego (and the original designer of a real car has to do the same!). A big thank you to Nico for joining us here at TLCB and becoming our sixteenth Master MOCer. 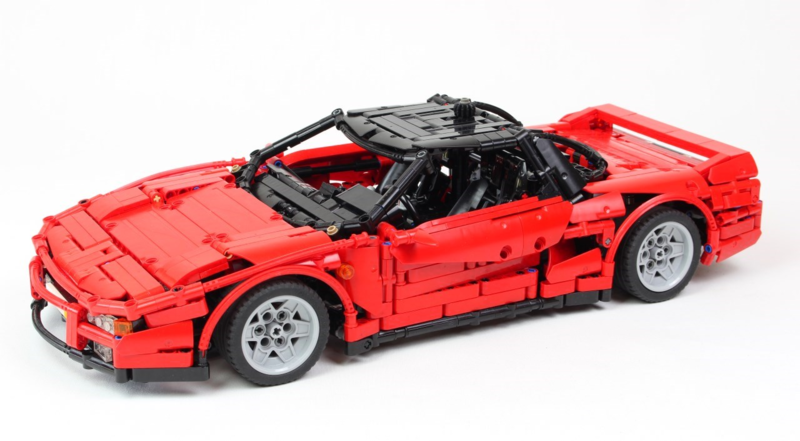 You can find more about Nico’s builds at his excellent wesbite, and all of his builds are available on Brickshelf too. You can check out everyone that’s made it into TLCB’s Master MOCers Hall of Fame by clicking here, and we’ll see you soon for No. 17!